In 1991, entrepreneurial spirit brought Mark Cappel to launch a venture into the commercial cleaning business. 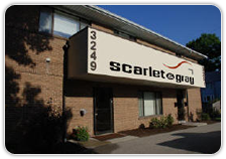 As a result Mark established Scarlet & Gray Cleaning Service. Over the years, Scarlet & Gray has become a full-service commercial cleaning company that focuses on serving academic institutions throughout the Greater Cincinnati Area. We provide year-round daily cleaning, janitorial, and light maintenance service. Our average customer relationship of over 15 years. Scarlet & Gray employs over 280 people, and cleans over 1,800 classrooms and 300 restrooms nightly. We maintain over 4 million square feet of flooring that are used by over 26,000 students every day. Scarlet & Gray is dedicated to exceeding expectations.